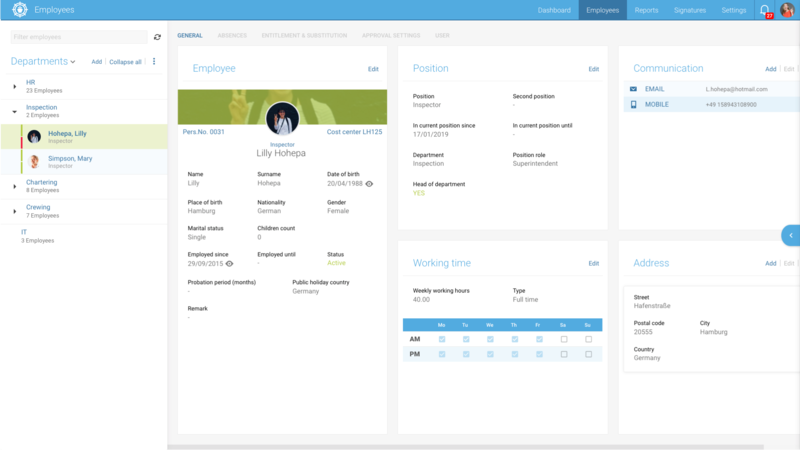 Make all staff information visible and accurate with the Employees module. Organise your staff within departments, define regular working days and hours, vacation entitlement, job description and contact details. 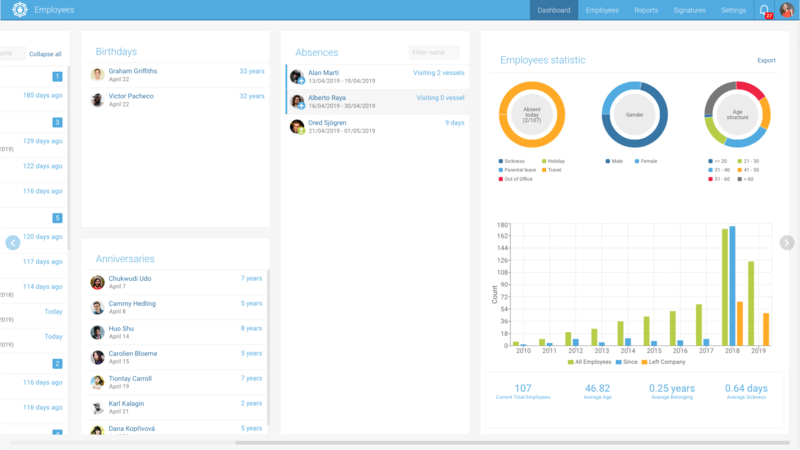 Manage holidays, travels and any other absence of your employees within a single view. 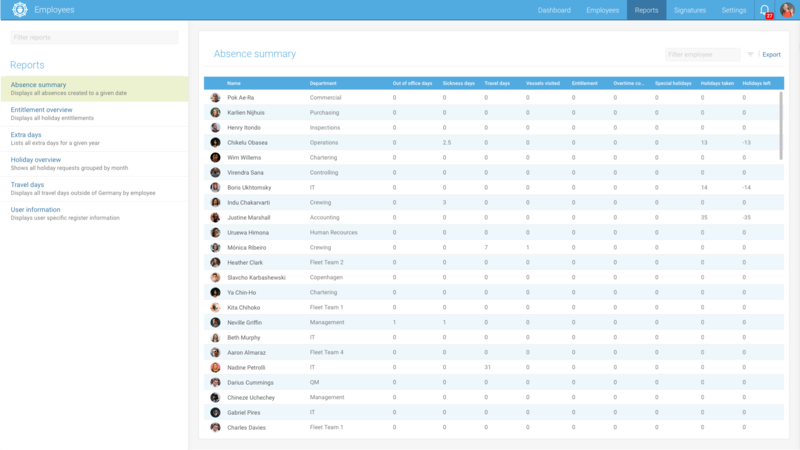 Our dashboard shows summarised, which employees are or will be soon absent. It is promptly obvious, if they are on vacation or on a business trip. Additionally you receive an overview about pending holiday requests, birthdays and anniversaries. In CFM Employees, you can maintain your employees, specify their regular working days and hours, define their amount of vacation days or enter and maintain general information like address, telephone number or working position. With help of the statistic function, you can detect how many days of sickness and days of business travels your employees have and keep track of how many days of holiday have already been spent. You can with ease maintain your employees’ master data, their business travels and handle requests for leave. Our integrated reports evaluate various key figures like duvet days and visualise this data. All important data is in one module. From birthdays over contact details to vacation planning, everything at one place. Curious to learn more about Employees?